Urban Living with a Modern Flair. 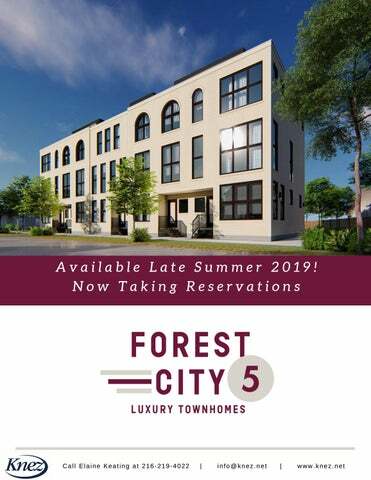 Located where Detroit Shoreway meets Ohio City at West 47th and Lorain, Forest City Five townhomes offer a modern lifestyle with the convenience of urban living. Take advantage of the nearby restaurants, breweries, Cleveland's renowned Metroparks, and the many cultural offerings that give this Cleveland neighborhood its charm and character. Each residence boasts finishes and stylish interior and exterior designs that will make you look forward to coming home. Enjoy outdoor living and city views from your private rooftop deck. Come explore this modern townhome community and take advantage of low maintenance living. Every home is energy efficient, built with high quality materials and includes a 15 year tax abatement. Your new eco-friendly home features modern amenities and well-appointed design features. Every residence will be constructed using high-quality, lasting materials. Architectural details and modern construction methods enhance each individual dwelling. Â The interior space epitomizes design using an open plan throughout. Outdoor Living For patio-minded urban dwellers, the luxury of outdoor living is second to none. Each home at Forest City Five has its own private, rooftop deck with plenty of space for entertaining. You are just steps away from enjoying city views and breathtaking Lake Erie sunsets. In an effort to constantly improve the quality and value of our homes, B.R. 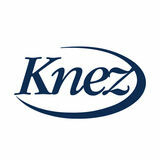 Knez Construction reserves the right to update materials and specifications.